DDoS attacks are on the rise. Growing in both frequency and sophistication, these distributed denial of service attacks compromise your website’s availability, your brand’s reputation and worse yet, your revenue. 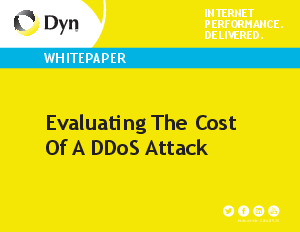 The average DDoS outage costs upwards of $882,000 in lost revenue and resources and the downtime can last from several minutes to several hours.